Tired of your slow Internet connection? Does your community lack access to a high-speed Internet connection? 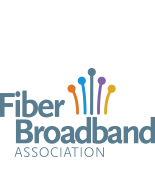 Wondering if there is anything you can do to connect your community to fiber broadband? If you answered “yes” to any of these questions, then you’ve come to the right place! For anyone wondering why your community does not have access to ultra-high speed fiber Internet, this guide is for you. Whether you are a startup looking for faster broadband to power your business or a concerned partner wondering why your child's school is still stuck with dial-up, this guide is here to help. In communities throughout the United States, getting access to next generation broadband is really a matter of community organizing. The following step by step guide will help build interest in high-speed broadband that can lead to policies to help promote investment in fiber-to-the-home (FTTH) networks. Cities across the country have used these steps to build the momentum to better Internet connectivity. First, you’ll need to find some likeminded people who are also interested in bringing fiber broadband to your community. Second, you’ll need to find local leaders to be your champions. This could be a member of the city council, the mayor, or a local leader from the Chamber of Commerce, schools, libraries or businesses. Third, find other interested parties that would also benefit from high-speed internet like local businesses, nonprofits, or community anchor institutions. Simple, right? Well maybe not that simple, but this guide will walk you step by step through the each of the above processes and show you how you can bring high-speed fiber Internet to your community.